Domo recently made waves in the enterprise space, announcing a second Series D funding round worth $131 million, and the release of Business Cloud, an ecosystem of business management apps that can be personalized by any organization or user. The announcements were made at the company’s annual ‘Domopalooza conference. According to Domo’s CEO Josh James, Domo wants to become the “Facebook for your business.” Combined with Domo’s April 2015 Series D round, the company has raised over $330 million in the last 11 months. As a result, Domo has a sustained valuation of $2 billion. Domo will use the capital to further develop Business Cloud. Business Cloud is centered around Domo’s own mobile application and includes an expansive app store of business tools that allows users to pick and choose from any of the more than 1,000 currently included apps. In addition, Domo has made its product suite free for those that were using it before last week’s announcement. According to CEO Josh James, the company’s goal was to go offer a ‘freemium’ model all along, and the company now has the revenue, backing and customer retention to make those dreams a reality. The Data Analytics startup also announced a Domo app publisher program that has a $50 million dollar investment fund built in. This program will include tools, best practices and support for developers who currently build apps for Business Cloud. Domo is also including ‘Buzz’ within Business Cloud, a social networking and collaboration platform that enables any employee to use Business Cloud free of charge. 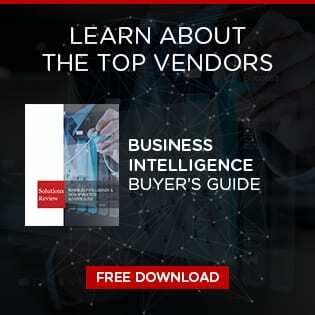 Earlier this year, technology research giant Gartner included Domo in their newest Magic Quadrant report for Business Intelligence and Data Analytics Platforms, associating them with some of the biggest vendors in enterprise software.